1400 x 1400 pixel album cover included with any song purchase. PLEASE NOTE: Tracks for Episode 5 ("Plastic Sea") and 8 ("My Evolution") are forthcoming. If you purchase the entire album now, we'll give you access to those tracks as soon as they are available, at no extra cost, and we'll notify you when they're ready. Casey McPherson's revolutionary approach to cultivating music is showcased beautifully in "Cas.e Sessions - Season 1". McPherson, who is now publishing his solo work under the moniker "Pherson", takes his listeners through an incredible journey in Season 1. Released originally on an episode-per-month basis, from 2017 into 2018, and available only to Cas.e Sessions subscribers, Season 1 is herein packaged in full for your listening pleasure. The opening episode, "You Are the Peacemakers", pays tribute to the late Hallie Geier, who was taken from this world far too young, at only 11 years old. She was wise for decades beyond her years, and her legacy lives on through "Love, Hallie", a public charity founded in her memory, which expounds upon the messages of peace, love, kindness, and goodwill towards others -- all messages of which Hallie was so fond. This heartening and inspiring episode and accompanying song, which was built around Hallie's poetry, sets the pace for the remainder of the season. As we proceed through the episodes, McPherson explores topics that are as varied as his creative processes and influences. Episode 2 focuses on the creative wellspring within each of us, and in Episode 3, we hear from McPherson's Flying Colors band-mates, all of whom offer fascinating perspective on what it means to evolve as a human being. Flying Colors fans are bound to love this episode's track, "Changeling", as it screams classic Flying Colors. In Episode 4, McPherson brings into our collective consciousness the plight of the Syrian people, to a goose-bump-worthy violin score contributed by Brian Batch, longtime friend and bandmate from McPherson's previous band, Alpha Rev. Episode 5, "Plastic Sea", explores humanity's flagrant disregard for Mother Earth, which has contributed to oceans filled with plastic and other man-made debris. Episode 6, "I'm a Refugee", tackles the struggle facing refugees in the U.S. and around the world, particularly in light of heightened tensions and social division around the subject of immigration. Brian Batch rejoins the series for Episode 7, with a completely different contribution this time: meditative prowess. Brian walks us through an enlightening breathing and meditative exercise, "Stillness for Humans", set to his hauntingly beautiful violin work. Episode 8 brings forth yet further novelty by way of McPherson inviting Cas.e Sessions members to contribute lyrics and ideas for this episode's track, "My Evolution", which explores the modern world's effects on our bodies. That urge to own more and more, bigger and better, which seems to haunt most of us to some degree, is Episode 9's focus: what does it mean and how can we fight it? Episode 10 examines what it's like to be an American Muslim and how polarized viewpoints can become violent. Episode 11, "Everyone's Charade", is an exploration into finding the truth and urges us to consider multiple viewpoints and sources for information, especially those with which we don't agree. Particularly touching is Episode 12, in which McPherson co-writes a song, entitled "Silence", with a Cas.e Sessions member who suffers from a severe neurological condition. The subject of this episode's track radiates such tremendous courage and bravery; she is truly inspiring. Again in Episode 13, McPherson touches our hearts with a visit to a young child who struggles with an attention disorder that makes it difficult for him to connect with others; the resultant track, "Help Me", is beautiful. The season closes-out with Episode 14, in which McPherson shares sentiments and challenges stemming from the overall process, which he expresses through the track "Running Wild". This episode also marks the first public announcement regarding the birth of his new moniker, "Pherson". 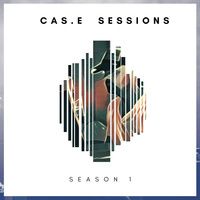 On the whole, Cas.e Sessions - Season 1 is one of the most interesting and compelling musical compilations we've encountered. Season 1 offers a rare glimpse into a true creative genius's processes and methods. Do yourself a favor and check it out, and don't overlook the bonus disc with instrumentals and extras!